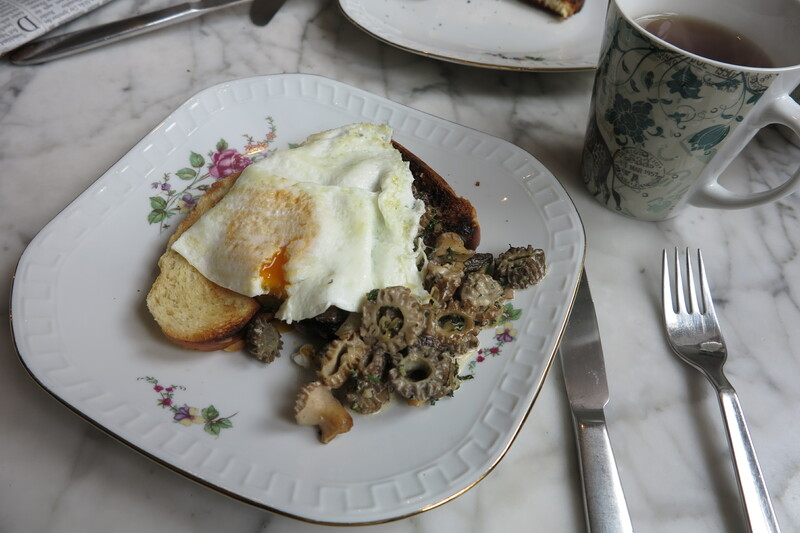 I missed quite a few French Fridays with Dorie posts in May, among them Creamy Mushrooms and Eggs, which is this week’s catch up recipe. I so wasn’t feeling this one when it popped up on the schedule. Just didn’t sound very spring-like. 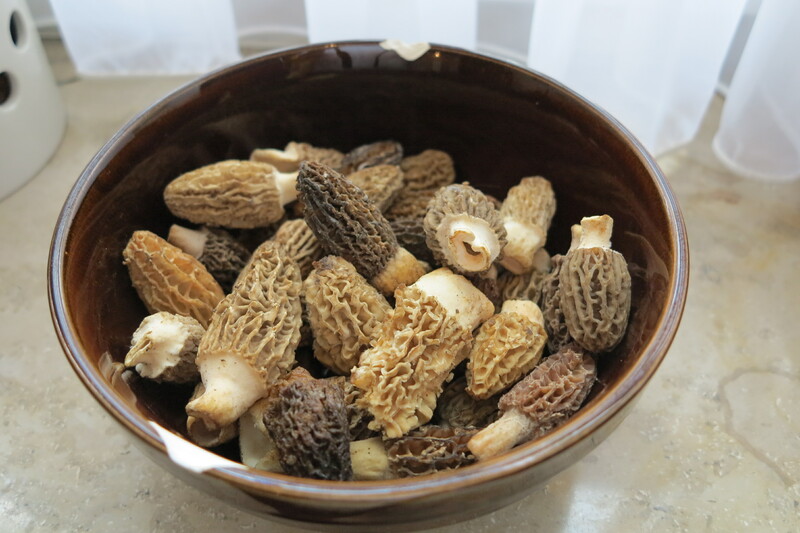 That was, until I got the idea to make it with morel mushrooms, those tasty, crinkly harbingers of spring. Dorie recommends serving this dish as an appetizer. I’m not generally one for multi-course meals when cooking at home. So instead, I decided to serve them for a hearty Sunday breakfast. And since it was breakfast, I went with basic fried eggs. Verdict? Delicious! Really, really good. I loved this dish and can see making it again either for breakfast or for a quick weeknight dinner. This entry was posted in french fridays with dorie and tagged Around my French Table. Bookmark the permalink. Your version looks wonderful. The mushrooms, especially, are beautiful. I’m not much for multi-course meals at home, either and found this made a great light supper. This looks great – love those mushrooms. Great that you used morels!